Apart from the abundance of great courses, benevolent weather for most of the year, and low greenfees, there’s the key benefit: availability. Let me explain what I mean. When I was growing up in England, golf was an elite sport. It wasn’t that equipment was unaffordable, it had more to do with the deeply ingrained British class system. Simply put, the mere idea of ringing up your local club and asking for a tee time was fraught with subtext. The unspoken truth of the conversation was, we are an exclusive establishment, which by the sound of your accent, you could not afford to join. If you could afford it, you probably come from the sort of ‘new money’ we do not approve of. Bugger off and play on a municipal course. My membership of the fourth estate enabled the occasional glimpse inside the world of privilege. The Rugby Writers’ Club had an annual golf day at Royal Mid-Surrey. The rugby connection is that the golf courses (there are two) are laid out in Old Deer Park, home of London Welsh RFC. Royal Mid-Surrey was founded in 1892, the Duke of Cambridge was its first president, the Prince of Wales was captain in 1926, and when fire gutted the clubhouse in 2001, Prince Andrew, the Duke of York, opened the new one in 2003. Merely walking the corridors as a non-member felt like trespassing. 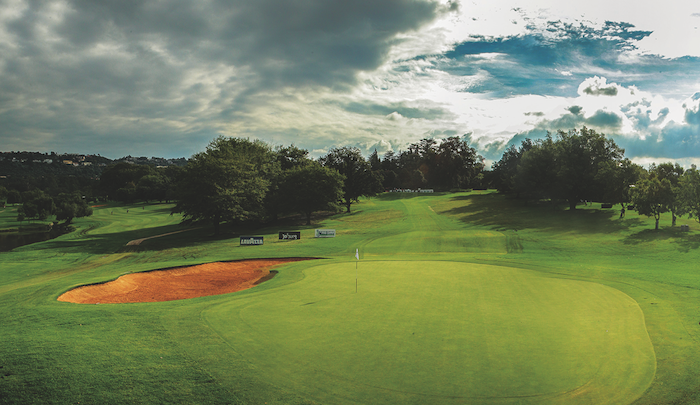 So it was, that when I came to South Africa in 1992 and was asked to cover a Sunshine Tour event at Royal Johannesburg, I felt more than a little like a fish out of water. Unfettered access to a championship course with the title ‘Royal’ was not something I was used to. But gradually over the years I realised that golf wasn’t quite as class conscious in South Africa and I began to relax. I even got to play regularly on good courses, again partly due to my chosen profession. Randpark was kind enough to let scribes and broadcasters play on a Tuesday morning for the princely sum of R20. You couldn’t buy a soft drink at Royal Mid-Surrey for that. Accordingly when, towards the end of September this year, my neighbour demanded another chance to humiliate me on the golf course, I got reminded of how golfer-friendly this country can be. And when we got there, halfway house was complimentary as part of the greenfee, and best of all, we were the only people on the course. Where in the world can you pitch up as a non-member, play a beautiful course, be treated in a grand manner and not have to apologise for your complete inability to play the game?